I really love this cute craft supply shabby chic can bucket. It’s a sort of basket for storing scissors and other crafting tools and supplies. But it has a handle and it looks like a tiny bucket. 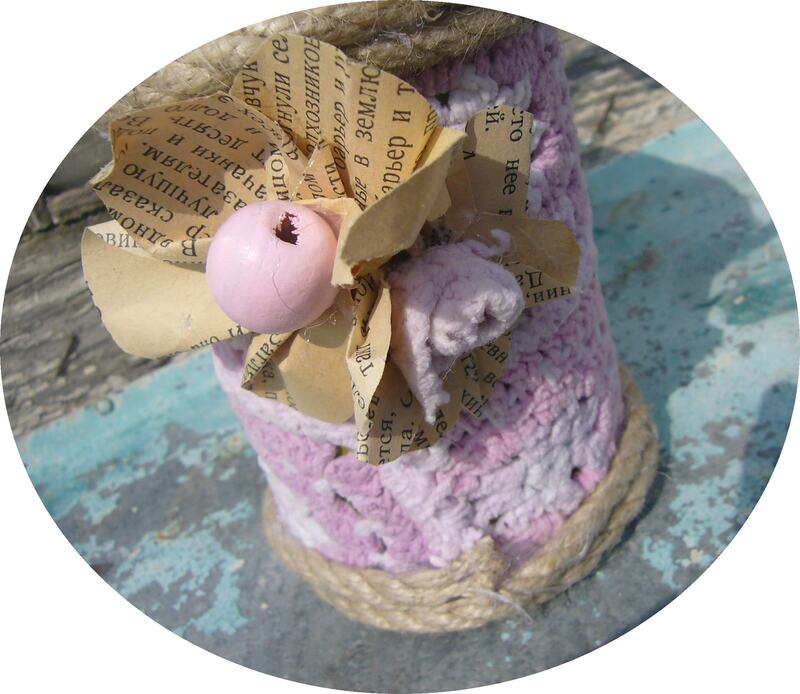 The can is upcycled by being decoupaged with cute pink crocheted fabric. Plus I used organic rope to make a handle and the bottom of the can. 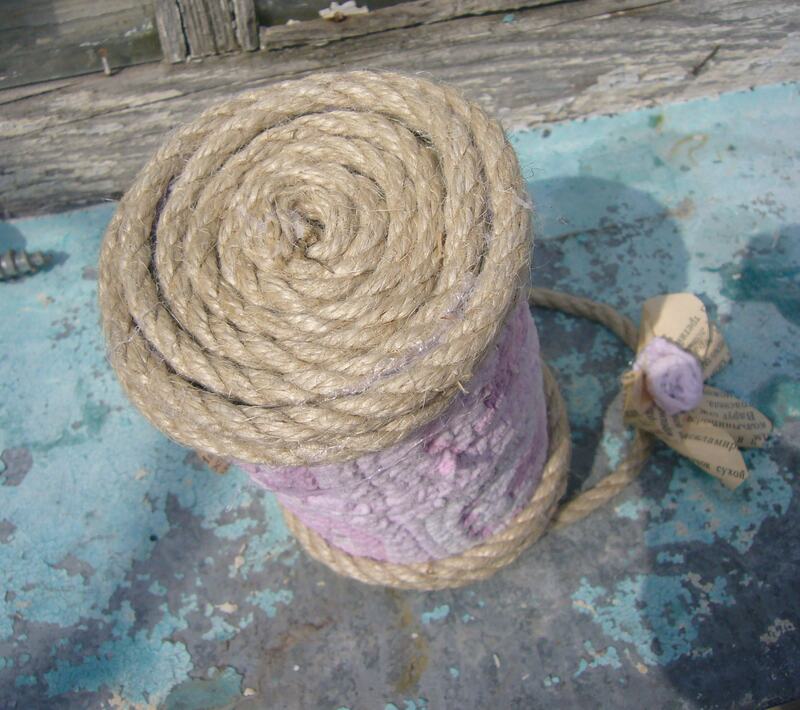 As you may see, the bottom of the shabby chic can bucket is decorated with the coiled rope. 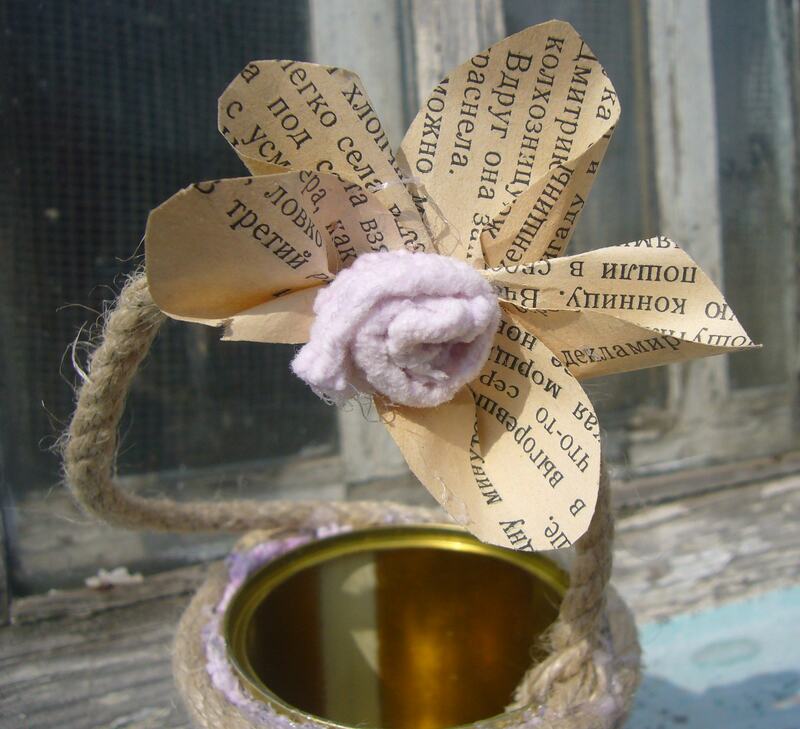 The shabby chic can bucket is decorated with vintage book page flowers and with wooden beads and rolled fabric flowers. You may order this bucket or one in a different design from me in by Etsy RECYCLEDCRAFTING store. This entry was posted in Crafting Tutorials, Go green and tagged can decoupage, coiled rope, crafting, decoupage idea, decoupage project, DIY, fabric decoupage, handmade basket, recycling cans, recycling crafts, rolled fabric flowers, shabby chic basket, shabby chic can bucket, upcycle. Bookmark the permalink.